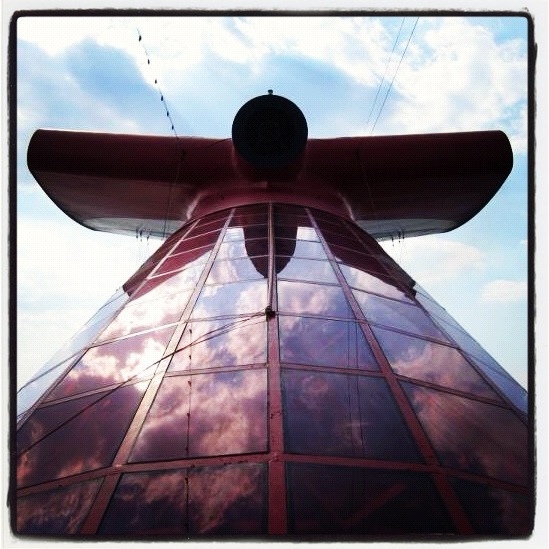 This is the tail, I guess, of the Carnival Pride. It sits up on top of the ship. When you looked through it, you could see the restaurant below.